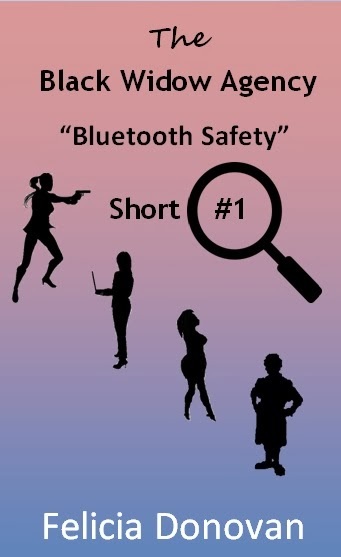 THE BLACK WIDOW AGENCY - SHORT #1 "Bluetooth Safety"
The raucously funny misfit ladies of The Black Widow Investigative Agency are back! In this short story. Jane begins to receive strange text message, including one from the police that her house has been robbed - but it hasn't. 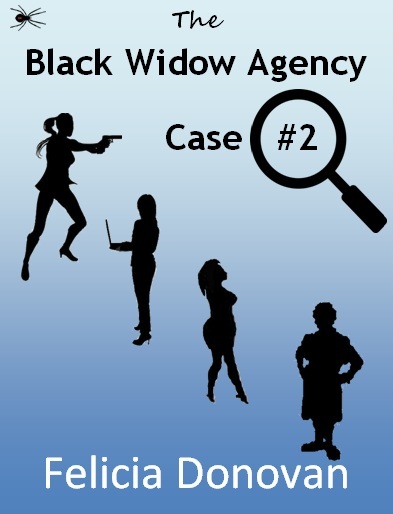 The Black Widows leap into action to find out who is behind this mischief. Katie, Margo, Alex and Jane are back to their tricks as they serve up justice - Black Widow style. Note: This is the newer edition. The original was also called "The Black Widow Agency" and the cover shows a woman with a finger to her lips. Note: This is the newer edition. The original was called "Spun Tales."